August | 2012 | 50 Westerns From The 50s. We’ve had a lot of birthdays lately, so I almost gave this one a miss. 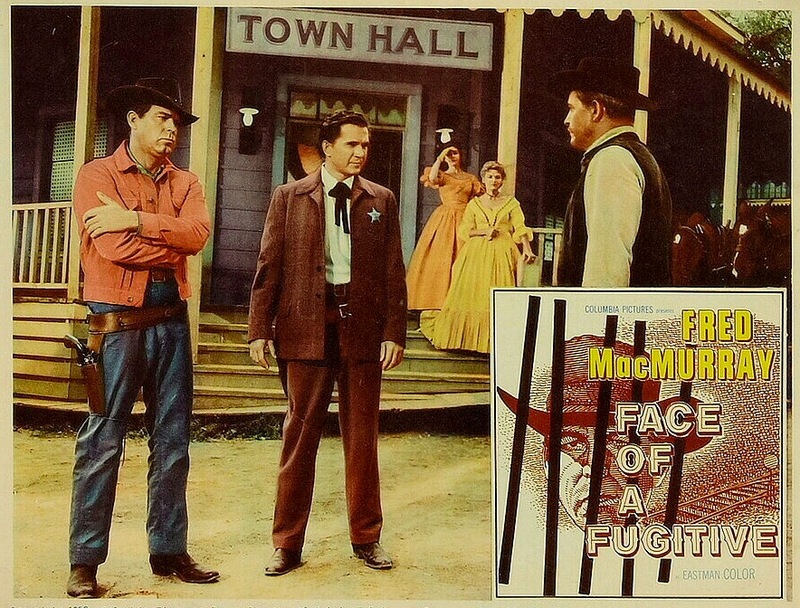 But Fred MacMurray’s Westerns are a big deal here at 50 Westerns From The 50s. MacMurray had quite a career, going from big movie star to huge TV star — with some ranching and shrewd investing thrown in for good measure. You hear a lot about him being cheap, but the end justified the means — he died a very, very rich man. In the late 50s, he hit a real sweet spot, appearing in a string of excellent medium-budget Westerns. Quantez (1957) and Face Of A Fugitive (1959, which had the working title Justice Ends With A Gun) are highlights, but the others are certainly worthwhile. I encourage you to sit down with a few of these things some weekend. A Good Day For A Hanging (1958) is pretty easy to find. 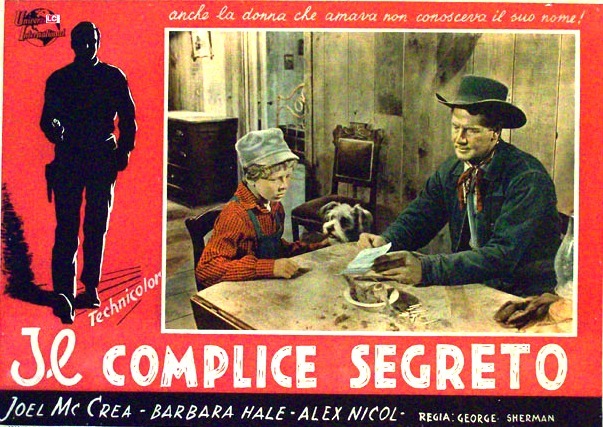 Quantez and Gun For A Coward (1957) are available as part of the Universal Vault Series. Wish I could toast him with his own MacMurray Ranch wine. Should’ve planned ahead. I’d like to “dedicate” this post to not just MacMurray, but to my wife Jennifer, who happened upon Face Of A Fugitive one afternoon and told me how good it was, and Blake Lucas, whose enthusiasm for Fred’s cowboy pictures convinced me to really study them as a whole. Joe Kubert, 1926 – 2012. Joe Kubert, one of the undisputed masters of the whole comic-book thing, passed away this month. 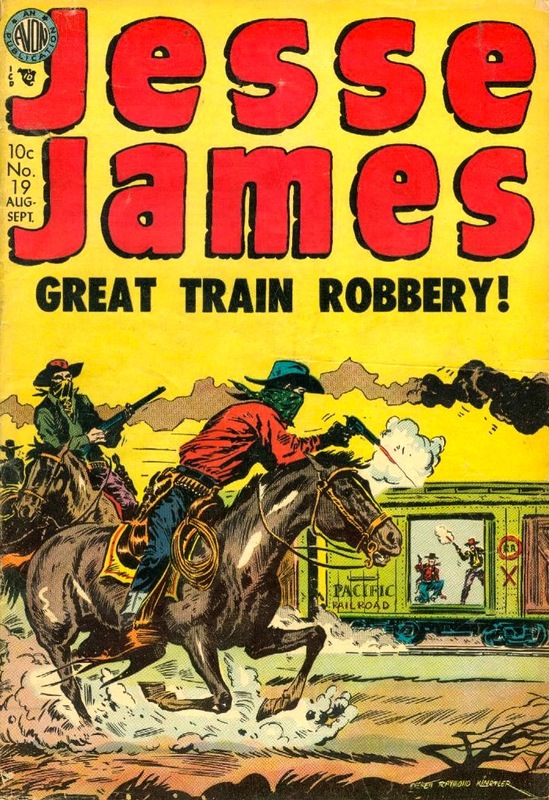 In the 50s, he worked on a few Western titles, including Jesse James (that’s not his art, he didn’t do the covers). A bound collection of these is available and very worthwhile. I don’t think George Montgomery has gotten his due. He may not have made a true classic, and most of his Westerns were of the studio product variety, but he can be counted on for a good solid way to spend an hour and a half. And those modest films are looking better and better with each passing year. A real renaissance man — actor, producer, director, painter, sculptor, craftsman, builder and on and on — Montgomery had a pretty fascinating life. I’ve been screaming for a while now about the many merits of Masterson Of Kansas (1954). 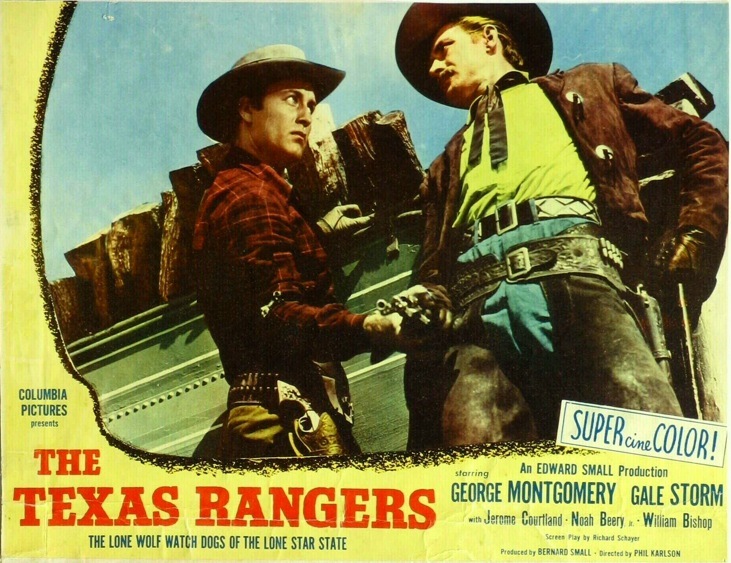 But Montgomery made plenty of good ones, from The Texas Rangers (1951) to the very interesting Black Patch (1957). (Warner Archive has helped us out with nice transfers of a few titles.) Like Rory Calhoun, Montgomery’s 50s Westerns deserve the attention given to those of, say, Audie Murphy or Joel McCrea. 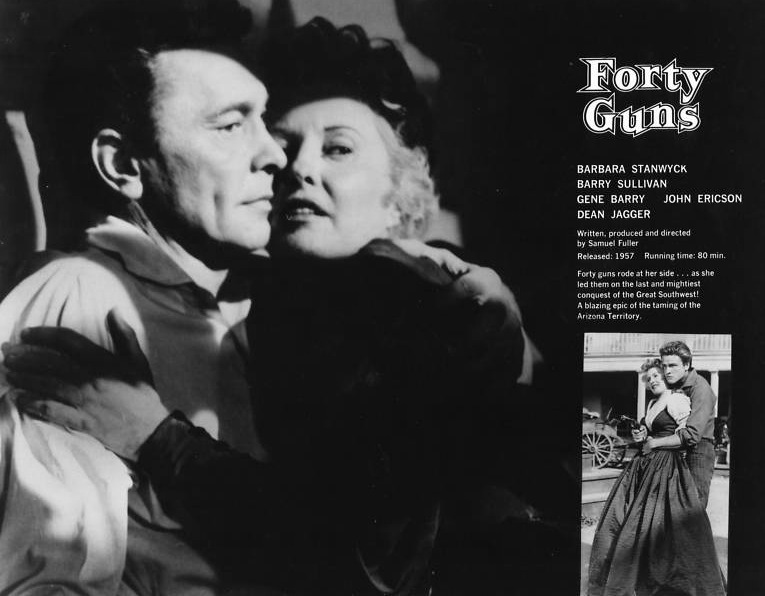 Samuel Fuller’s Forty Guns (1957) At The Aero. August 12th would’ve been Samuel Fuller’s 100th birthday, and the Aero in Santa Monica is paying tribute with three double bills. Friday’s is The Shock Corridor (1963) and Forty Guns (1957). Just seeing the title sequence on a big screen is worth price of admission. Sorry about the short notice, but things move fast with Fuller. “It’s not even really a Western. I don’t know what it is… Forty Guns doesn’t care.” — Martin Scorsese. Jimmy Hunt On The Lone Hand (1953). 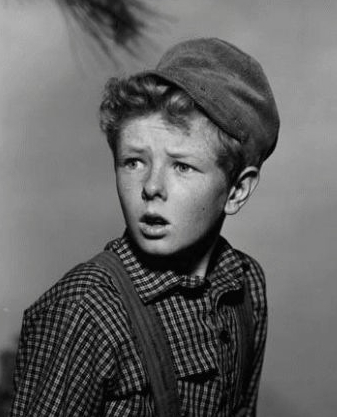 Child actor Jimmy Hunt is best known today as the kid in the original Invaders From Mars (1953). 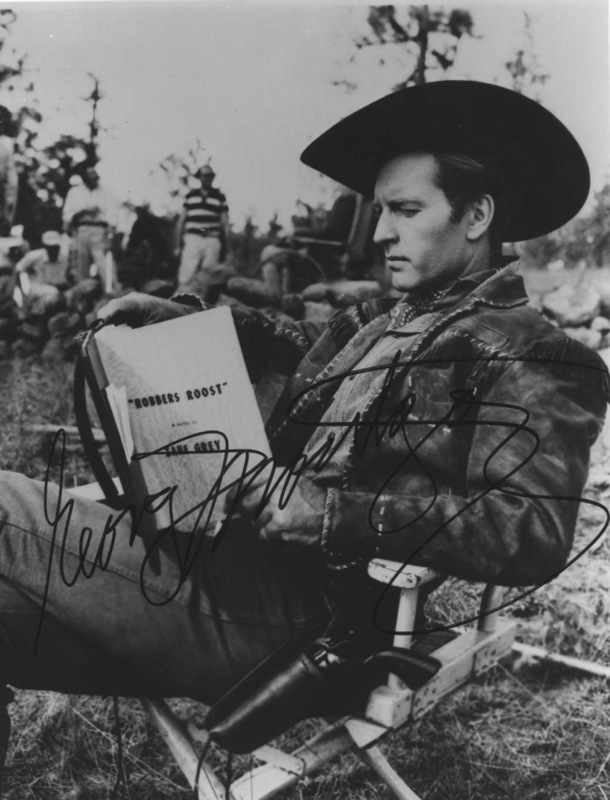 But he also appeared in two of Joel McCrea’s Universal Westerns — Saddle Tramp (1950) and The Lone Hand (1953). I’ve spoken with Mr. Hunt a couple times about these wonderful films, and about what a terrific guy Joel McCrea was. As I transcribe it all, here’s a bit on making The Lone Hand. Jimmy Hunt: “They took me out where they now have all the Universal Studios rides. That used to be the old backlot. They got this horse from a little girl and figured ‘If a little girl can ride it, this horse’ll be good.’ I got to go out and ride and ride and ride. One day I’m out riding, and this thing takes off on me. I’m trying to stop it, and it won’t stop. I’m pulling on the reins so hard, its mouth is bleeding. It dumps me off on the side of a hill, then heads back to the barn, and the wranglers end up out looking for a kid. I’m walking back with tears in my eyes, saying, ‘I don’t want to get back on that horse again.’ On the way to Colorado (location work was done in Durango), that little horse got in a fight with another horse, and that horse kicked the crud out of it. So they had to send it home, and I got another horse. I was the happiest kid in the world to get a different horse. More will come as my typing skills permit. Want List: The Parson And The Outlaw (1957). We’ve been lucky the last year or so, with lots of 50s Westerns making their way to DVD, DVD-R or even Blu-ray. Many films that have been on my Want List for a decade or more are now in my collection — The Wonderful Country (1959), for instance. Bet it’s the same for you. Running this blog and working on the book it was meant to plug, I’ve come across so many films I want to see again — or have somehow missed altogether. Many of them you’ve mentioned in your comments here, others turn up on someone’s filmography, and some just seem to come out of thin air. 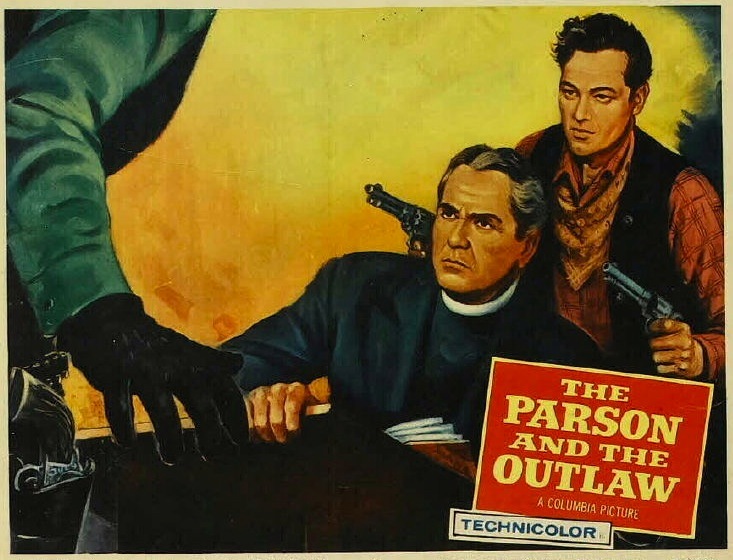 The Parson And The Outlaw (1957) is a good example. I’ve seen this film and remember liking it, but that’s about it. I’m dying to see it again. Marie Windsor is my favorite actress, hands down (for 1949’s Hellfire alone). I’m always interested in the work or Oliver Drake. Charles “Buddy” Rogers returning after a 10-year absence as the parson, and the film’s producer, is intriguing. And how can you resist a lobby card like the one up top? It was a Columbia picture, so what are we waiting for? 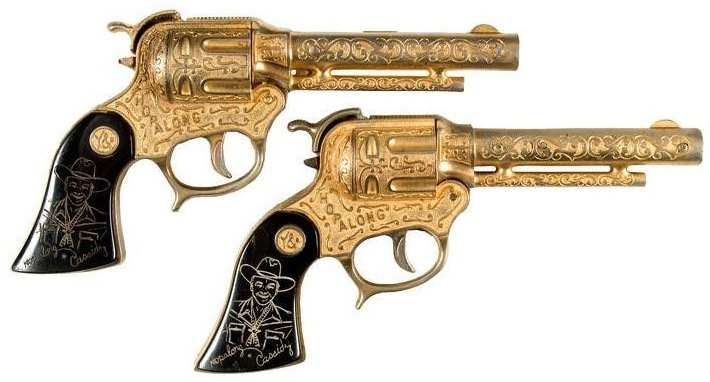 Official Hopalong Cassidy Gold Plated Single Shot Cap Pistols. These beautiful Hopalong Cassidy cap pistols (the subject line is what the original box called them) were manufactured by the All Metal Products Co. from Wyandotte, Michigan in 1955. By then, of course, Hoppy was out of theaters (the last of the features was released in 1948) and well-established on TV. Today, it’s hard to believe kids used to go to the movies wearing these things.